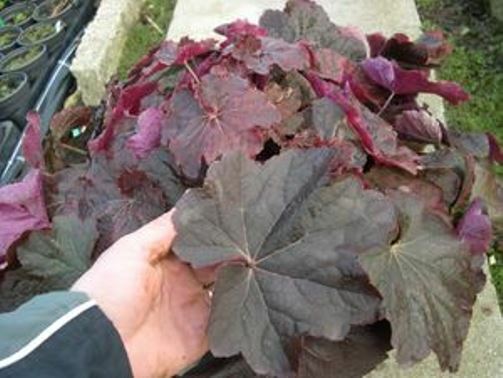 Heuchera 'Mocha' is one of the largest coral bells, featuring dark bronze-purple leaves over 6" wide. Mature leaves often darken to near-black, with cream flowers towering up to 30" high. 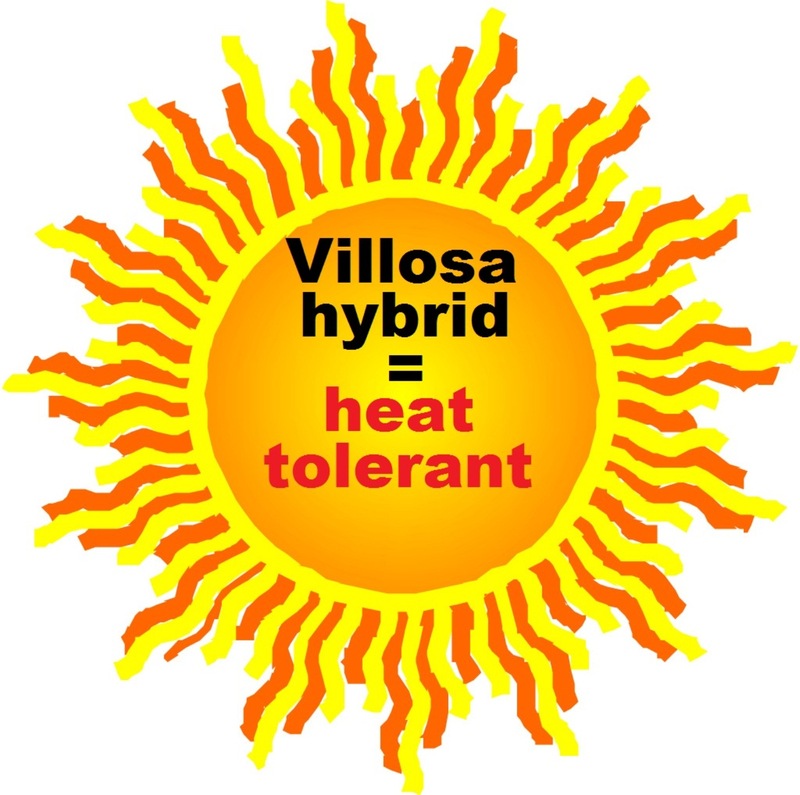 Its villosa genes make it heat & humidity tolerant. A great addition to the garden of those collecting unusual black perennials. From Thierry Delabroye of France. PP#18386. MATURE HEIGHT: Foliage 16". In bloom 30".